Statues made of synthetic resin are exquisite, long-lasting and show a touch of class! The art of creating statues with fiberglass resin, a type of synthetic polymer, is fairly recent to the field of statuary. Synthetic resin statues are better than stone statuettes, since they are lighter and more durable than their stone counterparts. 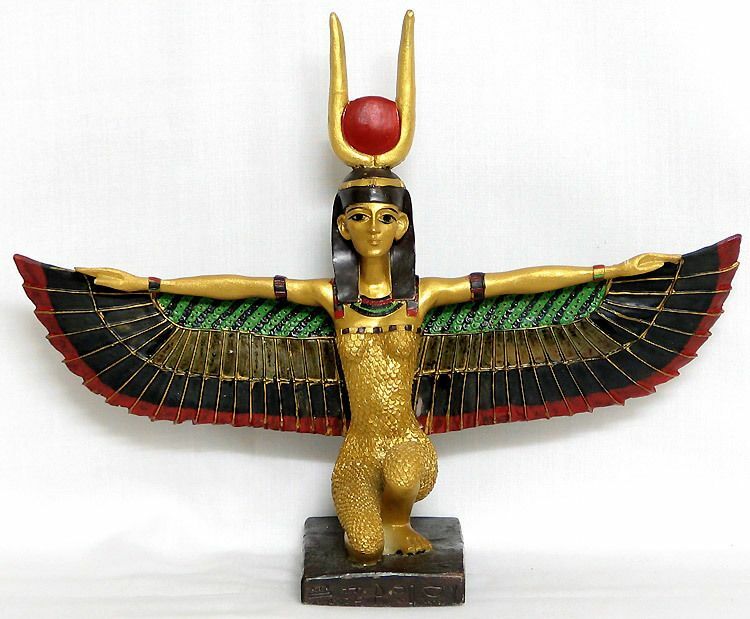 The statuette that you see here is of Isis, the exotic Egyptian Goddess of Magic and Life. She is the consort of the Osiris and the mother of Horus. Being a powerful mythological figure, Isis was adored as the quintessential wife and mother. Isis means the 'Queen of the Throne', symbolized by her wearing the sign of a throne on her head. As in this figurine, she is also depicted as a vulture or a kite, which explains the wings on her person. Isis is considered the symbol of womanhood, as she wears the fertility-giving menat necklace.